With summer temperatures rising, many people are wondering how to beat the heat without going broke. 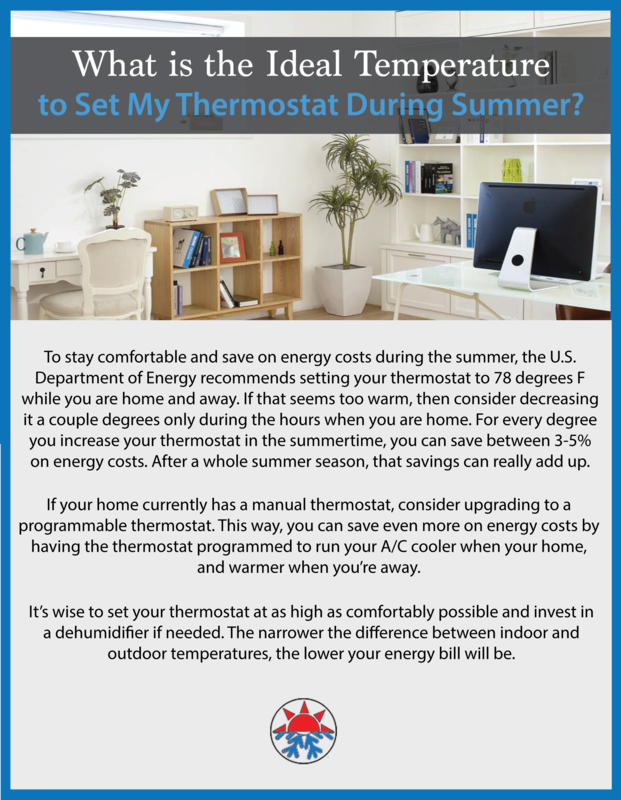 The best way to control your summertime energy usage is to monitor your thermostat. Many people assume that 72ºF is the best temperature to set your thermostat to during the summertime. And, while this is an effective means of staying cool and comfortable during the hottest months of the year, it may not be the most energy efficient setting. Read on to learn more about the ideal temperature for your thermostat setting in the summertime. At Reliable, our skilled and professionally trained team is available to answer any and all of your questions about how to maintain excellent home comfort. For expert advice on all your home cooling needs in Hollywood, give us a call at (818) 487-0671.